The obvious between a gulet cabin charter and a private yacht charter is that with one type of blue cruise you are booking only a private cabin and sharing the charter boat with other passengers. While in private boat charters you are hiring the whole boat with your own group where the crew serves only you and your group on board. You can choose the gulet you wish to hire privately; but you cannot choose the boat in shared cruises after you have selected the itinerary. Other differences include the class of gullet, food and beverage options, itineraries, and blue cruise prices. The one thing that both types of cruises have in common is the length of time you can choose to book a gulet. There are 1 week boat charters and those that are based on a certain number of days in the week. You can also book a private gulet charter for two weeks or longer if you wish. However for the most part, to get an idea of what it is like on a gulet boat, trying it for 1 day or a few days might be one way to go about finding out, while combining the cruise with your week long holiday time on land. 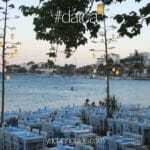 Daily gulet cruises are more common in Marmaris compared to other ports in Turkey – during certain times in the year. 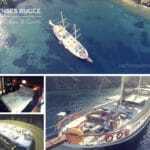 Gulet blue cruise cabin charters are either 1 week long, 4 or 5 days long (mini cruises). Then there are daily gulet cruises, but not very common and come with only lunch and a small cruising area. This holiday choice is sometimes preferred to daily boat tours and considered more a luxury than day trip boat tour. However not every gulet will allow for daily cruises and it may also cost more per day, than if you were to book a gulet for a week or 4 / 5 days. 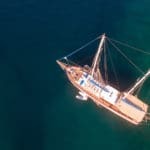 The only thing with finding a gulet that is available to do a blue cruise based on a day count is particularly difficult during July and August – the months in which gulets are reserved the fullest. Also in 2013 the Ramadan holiday week falls into August which make it nearly impossible to get cheaper rates, let alone a one day trip. It isn’t impossible, but you may have a tough time finding the boat that is just right for you and your group – for less than a week. 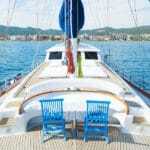 Usually the Standard and Luxury class gulet owners will agree to a few days’ cruise. Generally private gulet charters will operate starting on a Saturday and run until the following Saturday. Anything in between this time is not often that easily found for private gulet trips. However it never hurts to ask or inquire. When you do this, provide the size of your group, travel dates, and budget. This will get you started on shortlisting to see if there are boats available within your criteria. The itneraries that are prepared for cabin charter cruises are set. There are no alternatives. What is available in routes is what the boat will cruise to. Whereas in private yacht charters, the itineraries can be flexible since you are chartering the gulet to yourself you have the opportunity to speak to the agent or more preferably your captain and discuss any changes in destination and duration. There is a big differences between the two types of blue cruises in Turkey. While many travelers unfamiliar to blue cruises may think that these are all shared cruises, the actual blue cruise holiday is originally a private cruise. Alternatively cabin charter blue cruises in Turkey have been designed to be an affordable way to enjoy the same destinations. All you are doing is sharing your accommodation area, like a hotel – having your own room while sharing the lounging and dining with others. The pros / cons are really a personal opinion. There are travelers who take cabin charter every year and enjoy it every time. Also most shared cabin gulet cruises will not have air conditioning. The ones that travel to the Greek Islands may have A/C available in the cabins – but they are not on all the time and only during certain hours in a day. Private gulet cruises do not necessarily have an A/C restriction – especially with gulets in the Luxury, Deluxe, Ultra Deluxe and VIP classes. Some Standard class gulets may have A/C as well – but not all. Food menu choices vary as well between the two types of cruises. In cabin charters a Standard Menu is included in the price and dishes are Turkish Mediterranean. The drinks can only be purchased on board the boat at the bar. Outside drinks are not allowed on shared blue cruises. 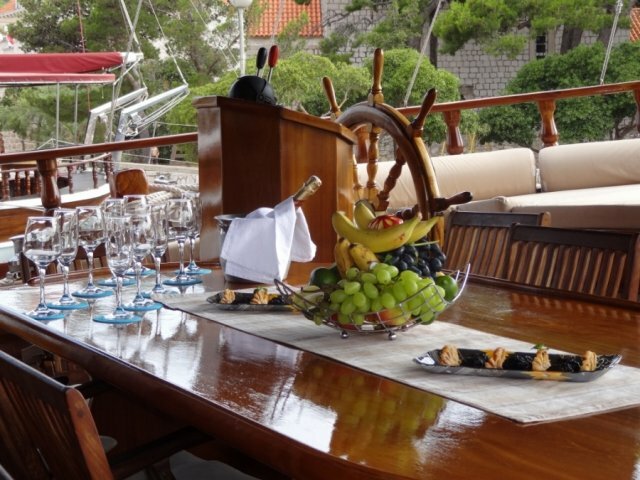 Private gulet charters allow you not only the choice in menus but also the choice to bring your own drinks on board or create a list to have the crew purchase them on your behalf – where they are payable upon embarkation. You can also bring your own food and other provisions as well. However it can be difficult to determine how much of what you will be consuming during your travels. Therefore many guests chose a menu and make a list of drinks they wish to have on board for the journey.